You are the current highest bidder! 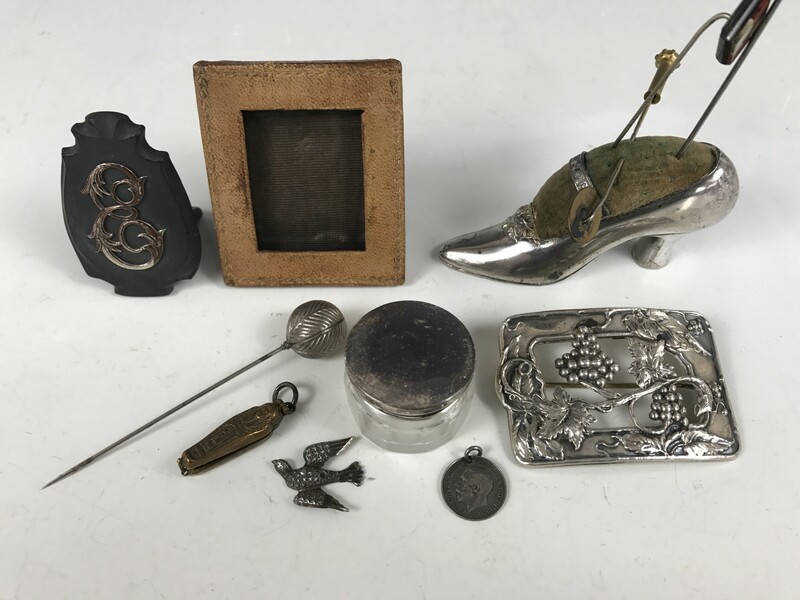 To be sure to win, log in for the live auction broadcast on 20 Jan 2018 10:00 GMT or increase your max bid. 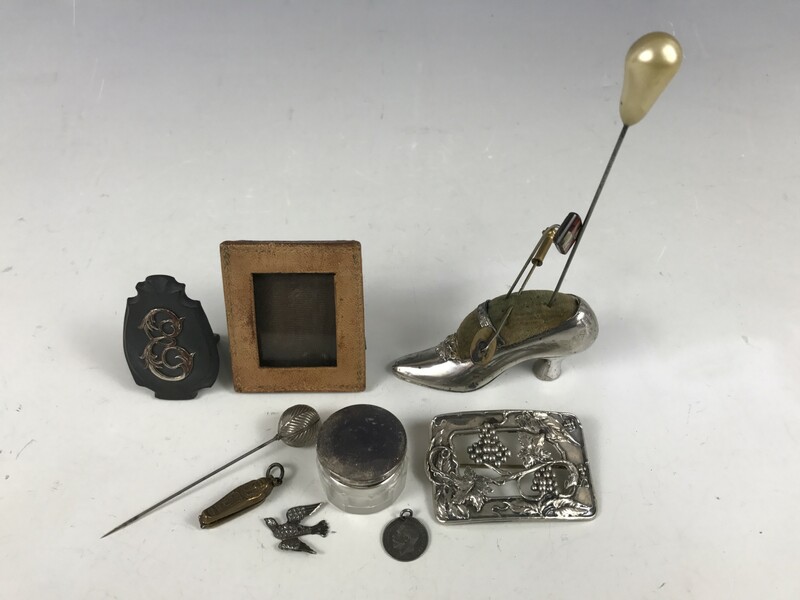 A late Victorian 'New York' souvenir electroplate pin cushion modelled in the form of a shoe, containing four period hat pins, together with an electroplate dress buckle, a silver covered cosmetic jar, a novelty Tutankhamen fob, and a white metal and slate table place setting etc.